TILT Brass is featured during a day-long event celebrating the release of acclaimed violinist Hilary Hahn‘s CD In 27 Pieces: the Hilary Hahn Encores. 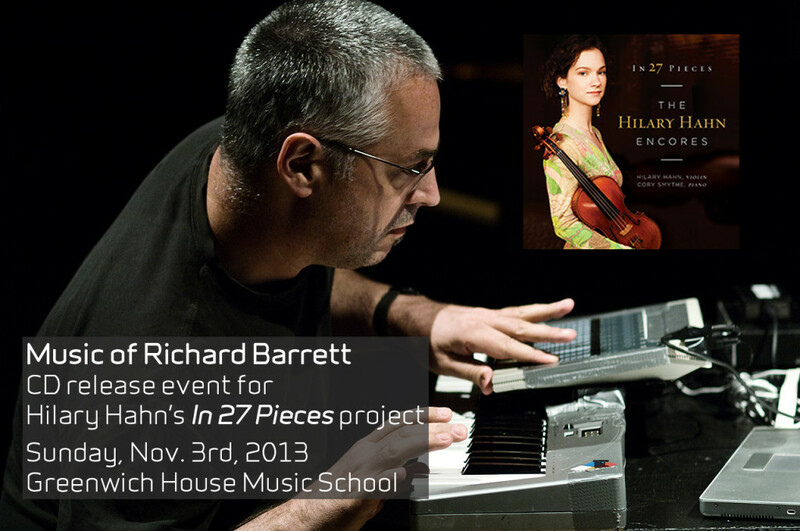 One of the 27 commissioned encores on the new disc is by British composer and improviser Richard Barrett. TILT is honored to present this singular artist’s work to Ms. Hahn’s audience, including the US Premiere of the duo work Aurora for flugelhorn and alto trombone.